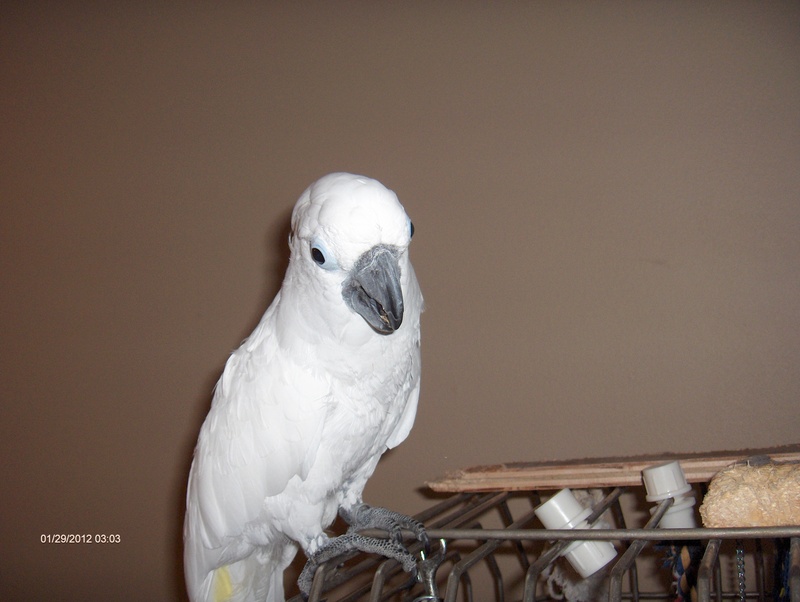 Riley is a 9 year old Umbrella Cockatoo and he is just stunning. 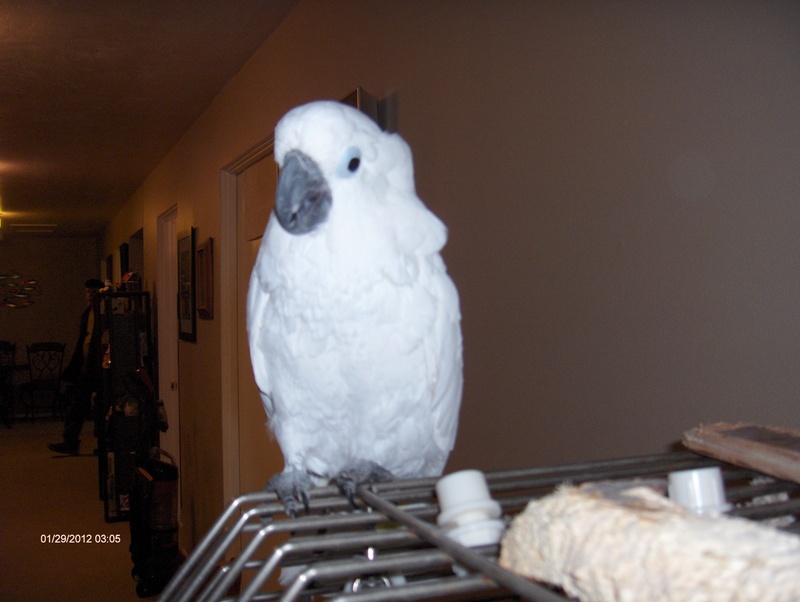 He is a wonderful bird and joined the EBR family after his owner passed away. Riley has a great personality and just wants to be loved by everyone. He is very friendly and tends to bond easily with new people. Riley is full of love and his wonderful personality makes him a joy to be around. Riley loves to play and really loves to chew. He enjoys destroying wood toys and playing on the floor. 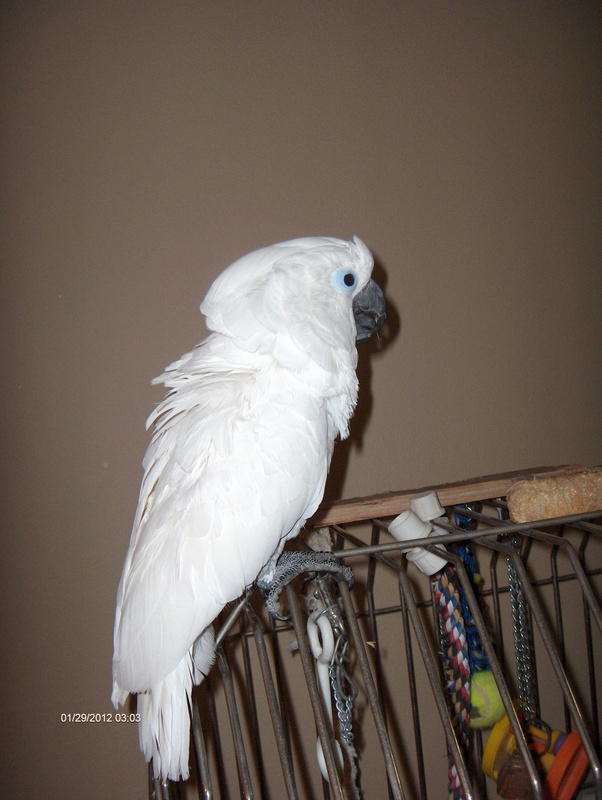 Riley also likes to be showered and then a nice blowdry to keep his feathers pretty. He has a small vocabulary and has a quiet speaking voice. He will sometimes say "nite-nite", Riley's a "good boy" or "pretty boy". Riley is full of love and wants nothing more than to be loved. Riley is looking for a family that has lots of time to shower him with love and attention. He wants to be the center of attention and to be included in family activities. Riley wants a family that can give him plenty of cuddle time and toys to chew. Riley has a personality that sparkles and will brighten up the lives of everyone he is near!